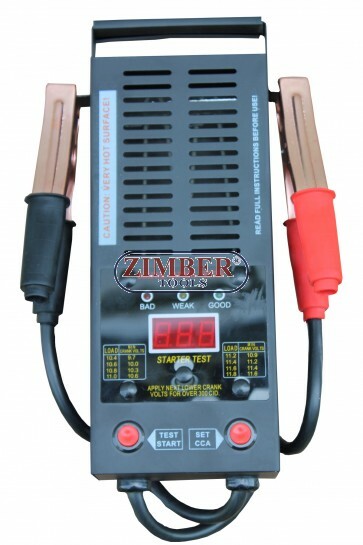 Tester Baterie-Acumlator cu Ecran DIGITAL 12V 250Ah / 1,000 CCA, ZT-04D3002 - SMANN TOOLS. Tester Baterie-Acumlator cu Ecran DIGITAL 12V, ZT-04D3002 - SMANN TOOLS. Cu rezistenta interioara pentru consum. Digital Battery Load Tester,12V 250Ah / 1,000 CCA - ZT-04D3002 - SMANN TOOLS. Measuring accuracy for voltage on LED meter display≤2.0% of rdg. Safe Load Switch with self power-off.